Outfits Of The Day Who nailed the Cleopatra look? Monalisa Chinda or Tboss? Who nailed the Cleopatra look? 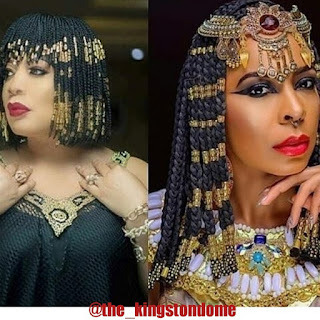 Monalisa Chinda or Tboss? Take a closer look at the above photo, if you where asked to pass a judgement as to who nailed the Cleopatra look who would you choose and what's your reason? Well to us Tboss looks old, monalisa has this beautiful natural and young look. What do you think?